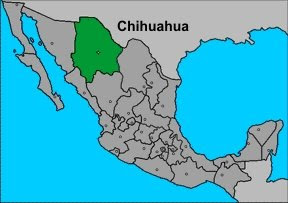 Inexplicata-The Journal of Hispanic Ufology: Mexico: State of Chihuahua Terrorized by "Man-Bat"
According to information supplied by Ing. Francisco Prieto Torres, residents of La Junta, Guerrero (Chihuahua) have reported the appearance of a "Man-Bat". They describe it as a very tall entity, standing some 2 meters tall, with two pairs of wings (one pair larger than the other). Its face is covered in fur and has red, bloodshot eyes. Also reported are a pair of small, kangaroo type hands that it held loosely, as though it lacked any strength in them. The main witness is a young student at Universidad Regional del Norte, whose name is being kept confidential, and who claims that the strange humanoid chased him for 15 minutes on the evening of March 6. The witness was driving a Liberty back to his home after his studies, when he saw a bulk on the roadway asphalt resembling a hunched-over man who seemed to be covered in a blanket. The figure suddenly stood up, taking two leaps forward and displaying a set of wings similar to those of a bat. The young man floored the accelerator in an attempt to flee, but the strange creature flew with great power, keeping abreast of the vehicle and looking in through the passenger window. "Those were 15 minutes of maximum despair," he said. This report has been made known on local radio and in the print media, such as El Heraldo de Chihuahua. Ing. Francisco Prieto has already located the place where the young man's father works and he wishes to interview him himself. If this is achieved, he will be forwarding the materials to me to make the entire ordeal known. It should be added that the family is known for being respectable and are held in high esteem in the community. Local radio has reported that that a photo of the "Man-Bat" exists, although no further details have been provided. Angela Mendez and Viviana Ledezma are two women who claim to have heard the humanoid squealing amid the screns of an apple grove near the Miñaca Cemetery. A joint mission was undertaken by members of the Police and Civil Defense of the Municipality of Guerrero in the State of Chihuahua. Socorro Rodriguez Erives reported that after researching several locations it was not possible to find the whereabouts of this strange entity. According to initial reports, the flying entity had its lair in the caves of the mountainous area of the Miñaca region. Despite their best efforts, no trace of the creature was found. 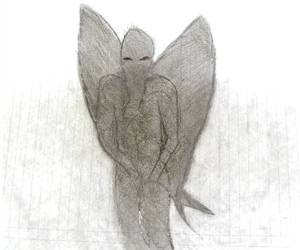 Many think that it was just a myth, while others associate it with "Mothman"
I will continue to report on this situation when word is received from Ing. Prieto Torres, who is looking into this Mexican case.